You still can pick up a free photo brag book from Walgreens, use the code SMALLBOOK at checkout and you can get a FREE 4.5×6″ Photo Brag Book. Today is the last day. Hooray for free pictures! 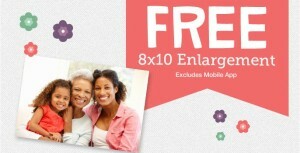 From now through Saturday, May 11th you can get a free 8×10 collage print from Walgreens. Use Code COLLAGE4YOU at checkout. Be sure to select in-store pick-up for a completely free picture. Order must be placed by 5/11 @ 11:59pm Central Time. 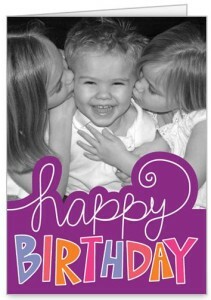 To get 5 free Custom Greeting Cards from Shutterfly use code: 5FREECARDS. You will need to pay shipping, which is approximately $5. This is a great way to get some great personalized Mother’s Day Cards, Graduation Cards, or even get a jump start on some birthday cards you may need in the coming month, without breaking the bank. Valid for five FREE 5×7 flat stationary cards OR five FREE 5×7 folded greeting cards. 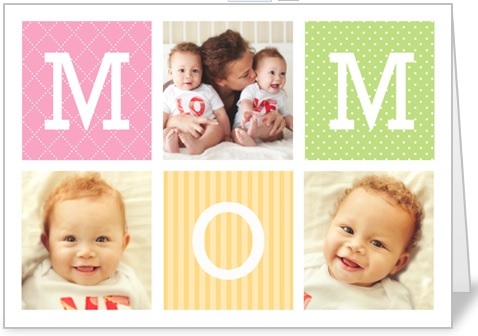 From now until 4/24/13 you can get 5 free Custom Greeting Cards from Shutterfly with code: 5FREECARDS. You will need to pay shipping, which is approximately $5. This is a great way to get some great personalized Mother’s Day Cards, Graduation Cards, or even get a jump start on some birthday cards you may need in the coming month, without breaking the bank. If you need to get some 4×6 prints done, there is still time to get 25 Free 4×6 Prints from Walgreens. Use code PICTURES25 at checkout through tonight (4/4 @ 11:59 pm CT). Order must include 25 prints. 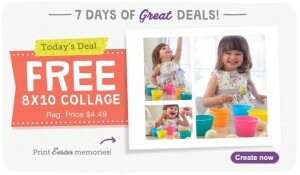 This week Walgreens is offering 7 Days of Great Deals on photos. Use MULTIPICFREE at checkout and you can get a FREE 8×10 Collage print. Be sure to select pick up in store so your picture will be completely free. This code is valid though Sunday, March 31. From now until 4/16 you can get a FREE 5×7 Greeting Card, or a FREE 5×7 Stationary Card, or a FREE 5×5 Stationary Card using Promo Code CARD4U. You will have to pay shipping, which should run about $0.99. This could be a great opportunity to make a special Mother’s Day Card, Graduation Card, or a Birthday Card. I started looking out for, and taking advantage of these deals last year. It cuts down on the cost of greeting cards and the recipient likes them because they receive a special, personalized card. They don’t need to know you didn’t pay an arm and a leg for it! If you need to get some prints made, Walgreens has a pretty good deal this week. 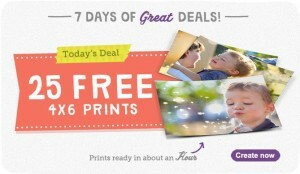 Buy 25 Get 25 Free on 4×6 prints. Use Coupon Code BUY25PRINTS at checkout. Offer is valid through Saturday, February 2nd.